On Sunday, September 5, 2010, I drove the short length of Washington Highway 107, which is not much more than a bypass of Aberdeen, a shortcut from Olympia to southward along the coast. 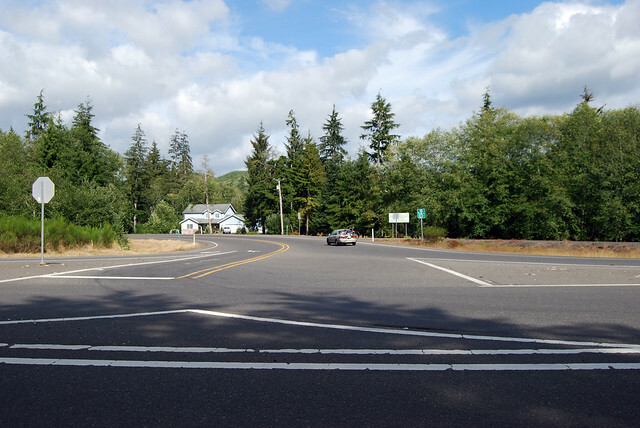 Beginning at a junction with state route number 101 north of Artic, thence northeasterly to a junction with state route number 12 at Montesano. 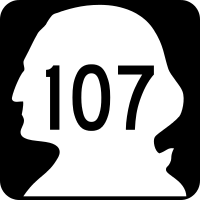 So here we are at the junction of SR 107 and US 101. We have both the sun and the wind at our backs. Let's go for a drive. 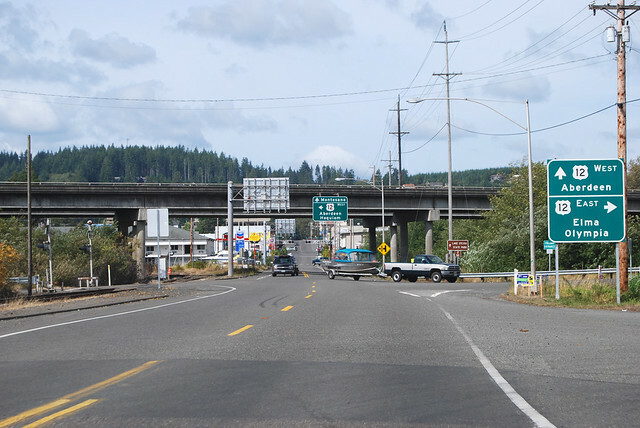 After several miles of forest and hills, Highway 107 dips down toward the Chehalis River and the town of Melbourne. 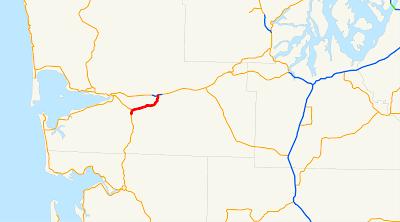 'Round about in here is the halfway point of the highway. 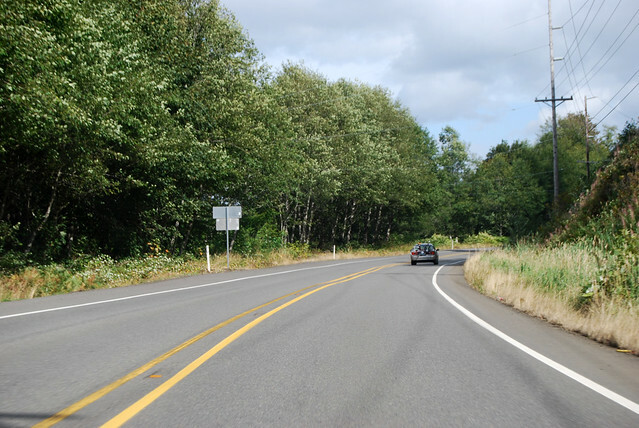 The speed limit drops, we cross the Chehalis River on a narrow bridge, the speed limit drops again as we enter Montesano, and we come to the junction with US 12 and the end of Highway 107.